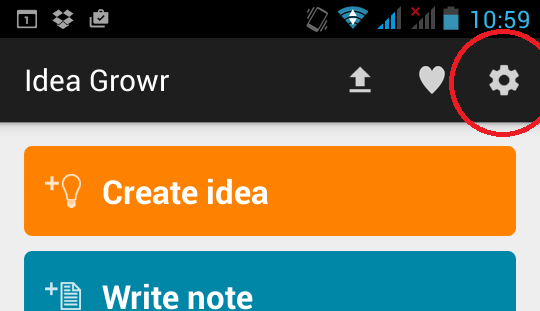 With Idea Growr you can quickly write down your ideas. The app stores all your ideas on your phone, not online. If you buy a new phone it would be nice if you can take your ideas with you. You can do this by the export and import feature. Here a quick guide on how to do that. 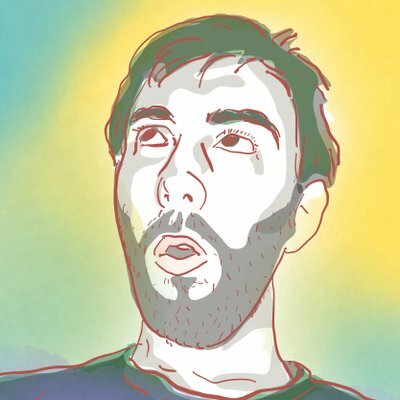 Exporting and importing audio files is not yet possible. 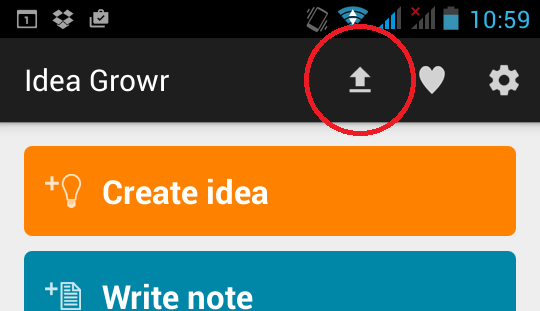 In the phone that holds all your ideas, on the start screen in the top bar there is an arrow up icon. If you tap that icon it says ‘Send all ideas and notes’ and you can select an app on your phone where those (it’s text) will go to. For instance you can select your e-mail app and send an e-mail to yourself. Don’t change the text of the e-mail. This is the text you are later going to import. The import feature relies on that the text is structured in a certain way. 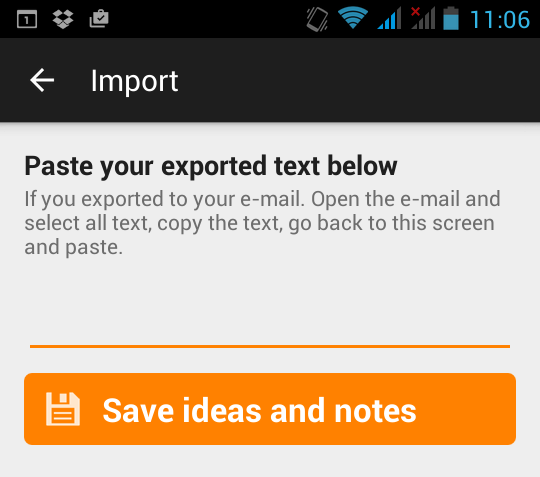 The text you used sent yourself you can use to import all ideas and notes to a different device, for instance your new phone. 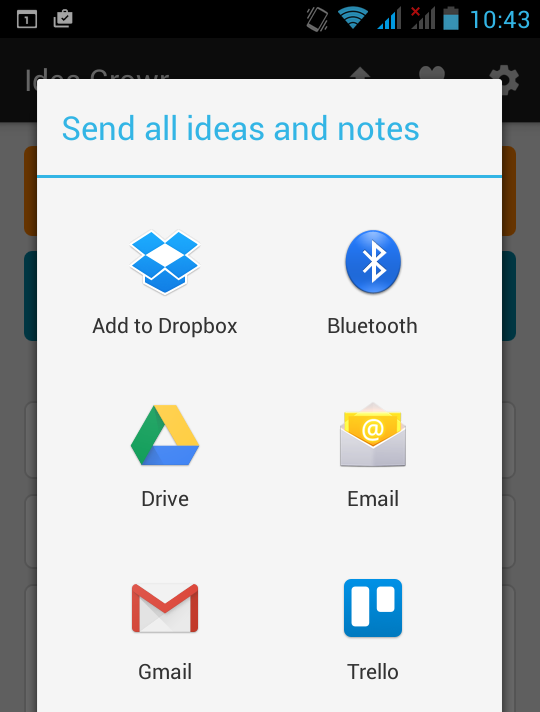 On your (new) phone or tablet first go to your mail and select all the text of the e-mail and copy it. 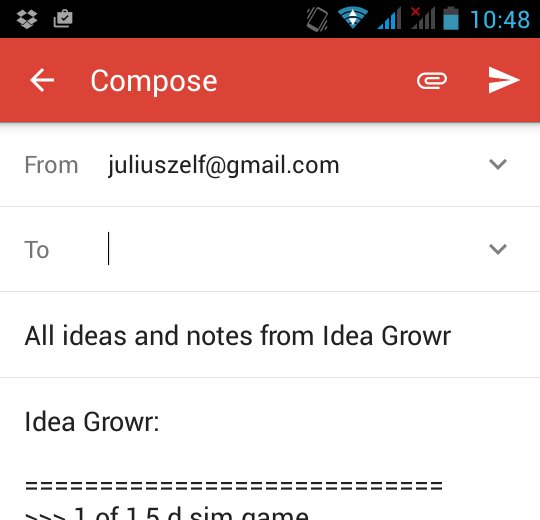 Then you open the Idea Growr app and tap the gear icon in the top bar. In earlier versions the app had a different settings icon. 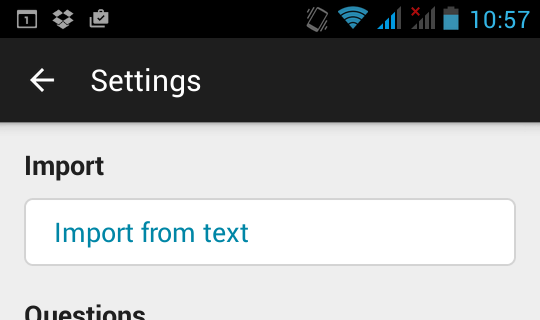 On the setting screen tap ‘import from text’. I plan to clean up this settings screen, so in the future this screen may look different. You then see this screen where you can do the real importing. Every answer to every question will be converted to a note. While not ideal, no information is lost. If you run into any problems, let me now in the comments or send me an e-mail.